● Carbon fiber engine cover for MINI N18B16A, MINI original engine covers laminated with real carbon fiber and clear-coated. ● Glamorous and Glossy- Twill weave carbon fiber finished with clear coating gives your engine bay glamorous & glossy appearance. 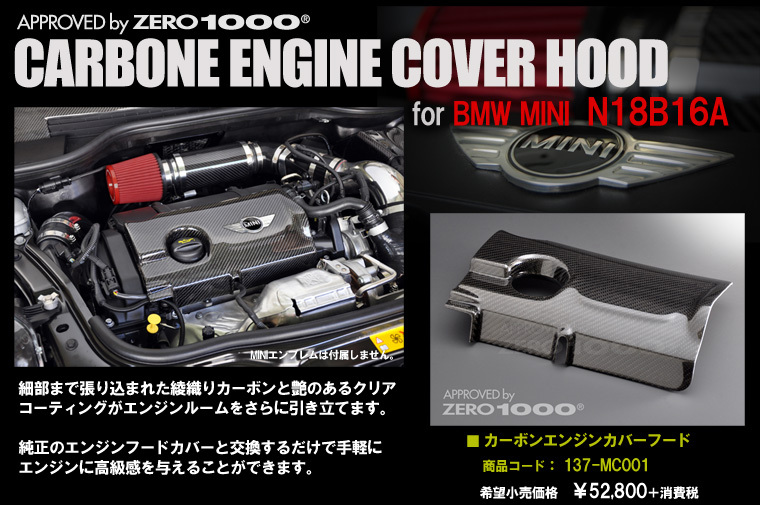 ● MINI original engine cover - it is the maker original part laminated with carbon fiber, not an aftermarket part, ensuring a perfect fit to your MINI. 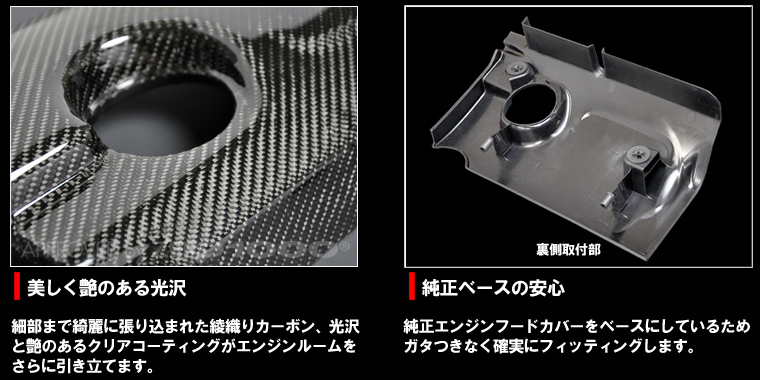 ● TURBINE HEAT PROTECTOR version(137-MC002) - Special CARBON ENGINE COVER HOOD accommodated to install with our TURBINE HEAT PROTECTOR is also available.